The smallest, most commonly used, most forgettable words serve as windows into our thoughts, emotions, and behaviors. The ways people use pronouns, articles, and other everyday words are linked to their personality, honesty, social skills, and intentions. Pronouns (such as I, you, they), articles (a, an, the), prepositions (to, of, for), auxiliary verbs (is, am, have), and a handful of other common word categories are called function words. On their own, function words have very little meaning. In English, there are fewer than 500 function words yet they account for more than half of the words we speak, hear, and read every day. By analyzing their use, we begin to learn how speakers are connecting with their audiences, their friends, their conversational topics, and themselves. 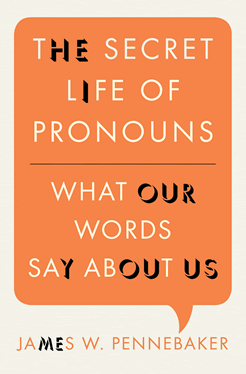 The Secret Life of Pronouns is based on a large-scale research project that links natural language use to real world social and psychological processes. 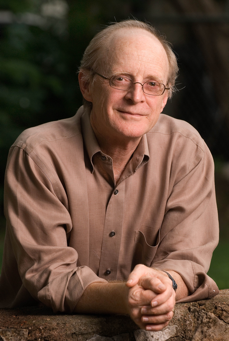 Using computerized text analyses on hundreds of thousands of letters, poems, books, blogs, Tweets, conversations, and other texts, it is possible to begin to read people’s hearts and minds in ways they can’t do themselves.